The Denon HEOS 5 is Priced and Sold as Each, For a Pair Add Two to Your Cart. The Denon HEOS 5 has a lot to offer, so it’s hard to choose a single marquee feature. Let’s start with the sound. This second-generation HEOS speaker sports the same powerful driver array that made the original a go-to choice for mid-sized living rooms and larger kitchens and bedrooms. But now when you plug it in, you have even more ways to listen to music wirelessly. There’s built-in Bluetooth, so you can hear virtually anything you can play through your phone or tablet. But when you download the HEOS app to your Apple®, Android™, or Kindle device, the fun really starts. You have wireless access to many music services and your own music library — including high-resolution downloads. On top of that, you can control other HEOS speakers in other rooms, all with the same app. When customers reviewed the first-generation of HEOS, they noted how fast and easy it was to set up. Denon hasn’t changed that a bit with their latest series. An included setup cable connects your smartphone or tablet to the HEOS 5. With a few taps of the app, your Wi-Fi settings are automatically transferred. 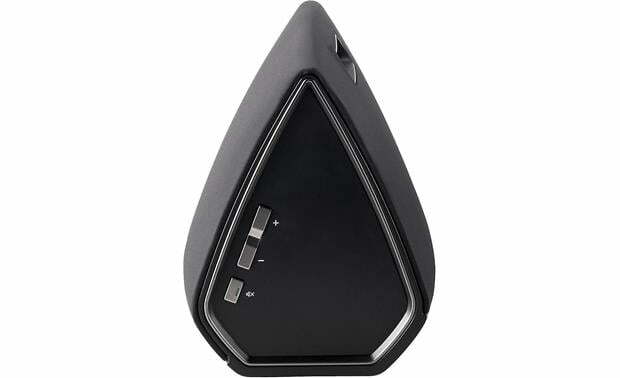 When you unplug the cable, you’ll have full wireless control of the speaker. 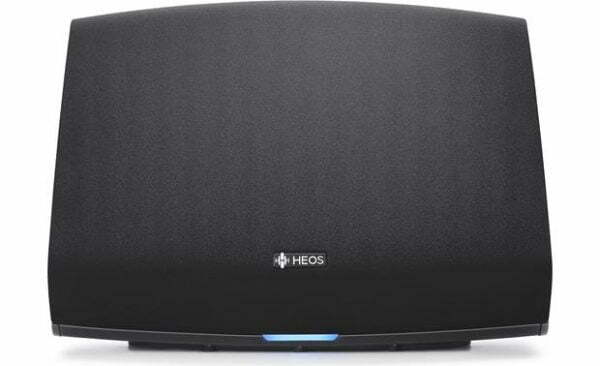 The HEOS app lets you choose one song for the HEOS 5, and something completely different for, say, a HEOS 1 speaker in the kitchen, or a HEOS HomeCinema sound bar in the living room. 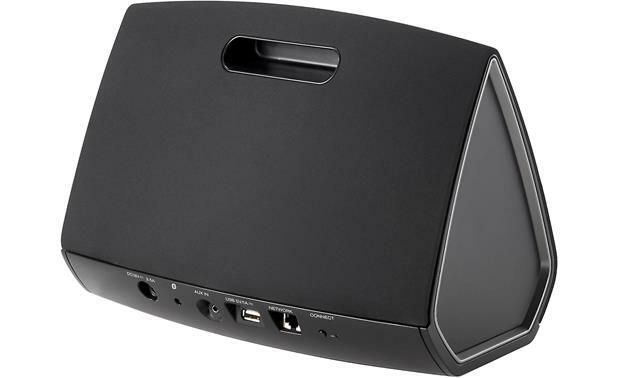 Or you can group HEOS speakers together and have the same tunes playing throughout several rooms. Have first-generation HEOS gear? All HEOS components are compatible with each other. Want to listen to live clips from YouTube? Or maybe you have a new music service that’s not yet available directly through the HEOS app? The latest generation of HEOS has you covered. Use Bluetooth to stream any and all audio sources from your phone or tablet through the HEOS 5, without restrictions. 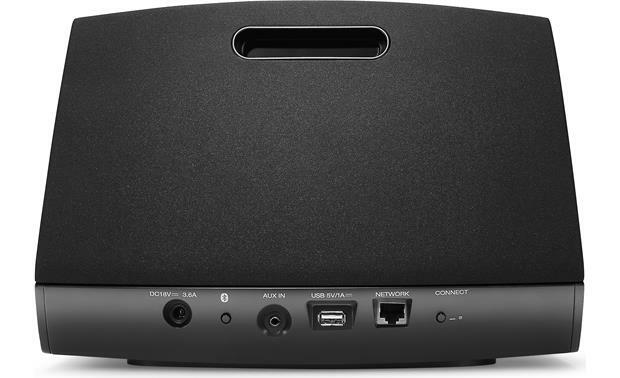 You can also send that Bluetooth stream to other HEOS speakers.